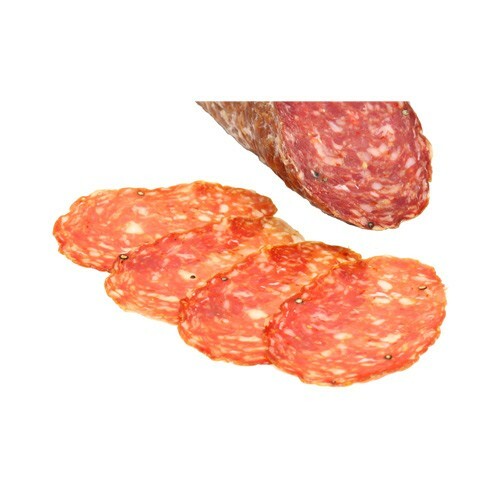 This slicing sized sopressata is made with all natural coarsely ground cuts of pork with a variety of herbs and spices. Seasoned with hot pepper and paprika, this spicier option is ideal for those who like a little extra heat with their dishes. Perfect as a sandwich ingredient or on antipast platters.